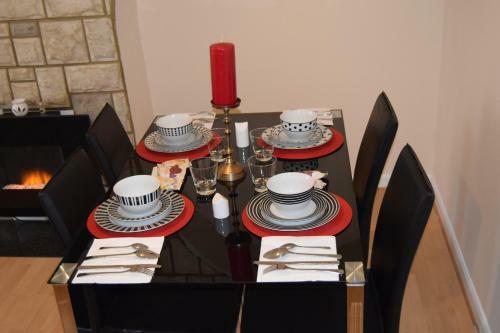 Fantastic two bedroom self catering serviced apartment at the Royal Docks just footsteps from the ExCeL centre. This highly-rated two bedroom apartment can sleep up to eight people: bedroom one has a double bed, bedroom two has two singles and a double, and there's a sofa bed in the lounge. One of the bedrooms opens out on to an outside terrace area with seating. 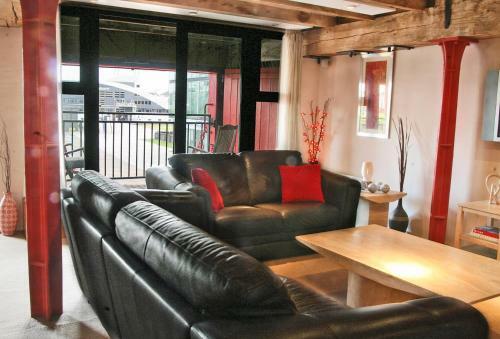 The apartment is fabulously furnished throughout to create a stylish and comfortable place to stay at the Royal Docks which has been created in an original warehouse now converted to residential apartments. 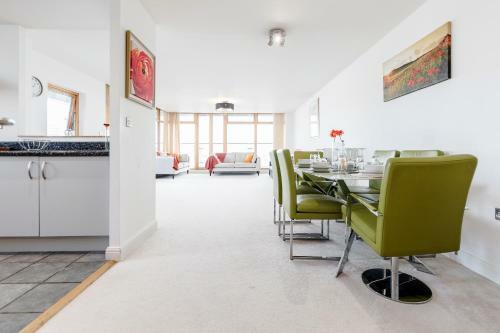 Newly-built apartment just east of the Royal Docks with views of the River Thames and City. 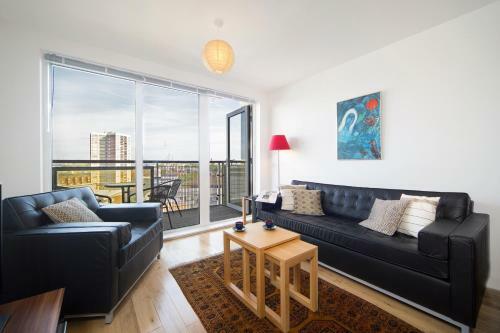 Two bedroom apartment overlooking the Royal Docks in East London. Board London's only cable car to fly across the Thames to Greenwich Peninsula - home of the O2 and a growing number of restaurants, shops and attractions. LCY has flights to and from a range of popular destinations. Retail park built on a former gasworks with a large Tesco and many other stores and places to eat. 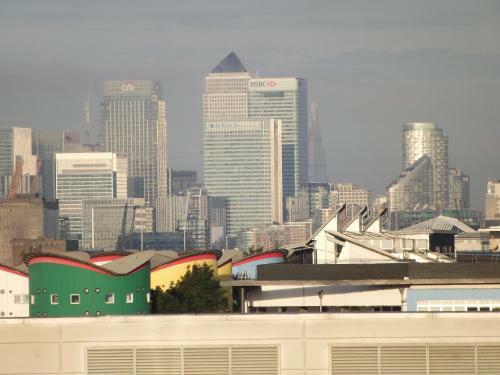 Major conference and events centre at the Royal Docks in East London.